Faculty, staff and students of the Harquail School congratulate Danielle Brown, who has successfully defended her MSc Geology thesis titled “Geochemistry & Isotopic Composition of Sediment Cores to Understand the Lithological & Anthropogenic Controls on Eutrophication in New River Estuary, Southland, New Zealand” on March 22, 2019. Danielle’s research project was supervised by Dr. Matthew Leybourne, Queen’s University, and funded by Environment Southland, NZ, as well as the Ontario Geological Survey. She had previously earned her BSc at Queen's University with an honour's thesis focused on the structural evolution of the Okanagan Valley fault system before making the switch to environmental geochemistry in her M.Sc. at Laurentian University. Specialized in environmental site assessments for sediment and water quality, especially in agriculturally-dominated landscapes, Danielle has had experience with soil remediation and structural mapping in northern Québec. There, she performed dendro- and geochemical analyses at a research laboratory, with both local and international archaeological field surveys and excavations. 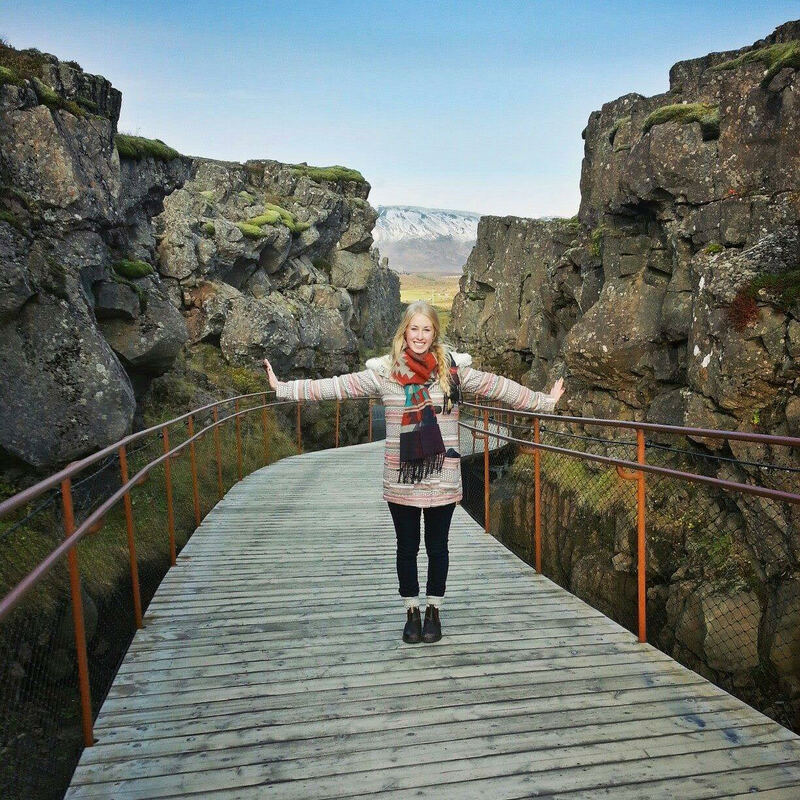 On the picture, Danielle is “separating” the North American and Eurasian tectonic plates in Iceland.